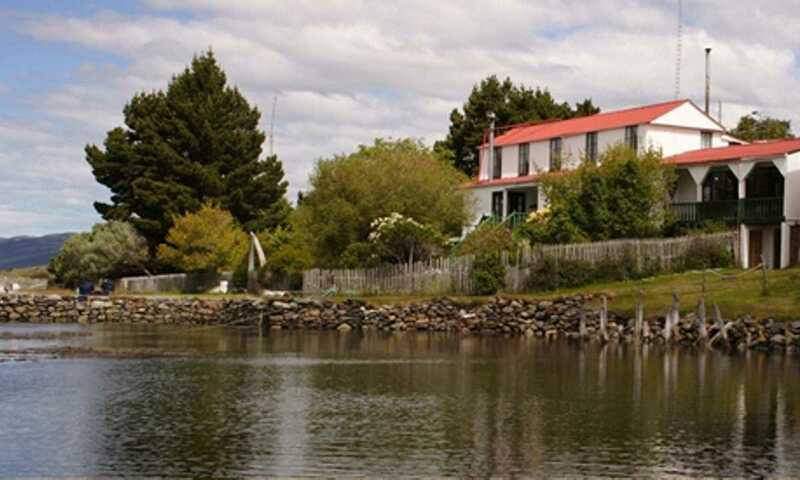 Kayak in the Beagle Channel, visit the lakes and mountains in Tierra del Fuego including the remote Gable Island and visit a penguin colony. Spend 1 night camping and the other in a cosy refugio. 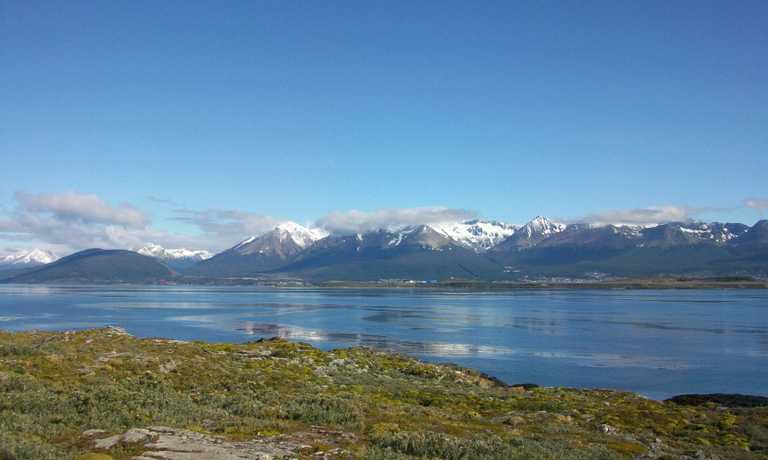 We will leave Ushuaia to go East by the Beagle Channel. During this first part of the day we'll take you for a ride in a minibus, and canoe down a river to get into the Beagle Channel, head towards the East and, with the help of the wind, approach Harberton Ranch by sea! Once there, we'll navigate and disembark on an island where will be among penguins. 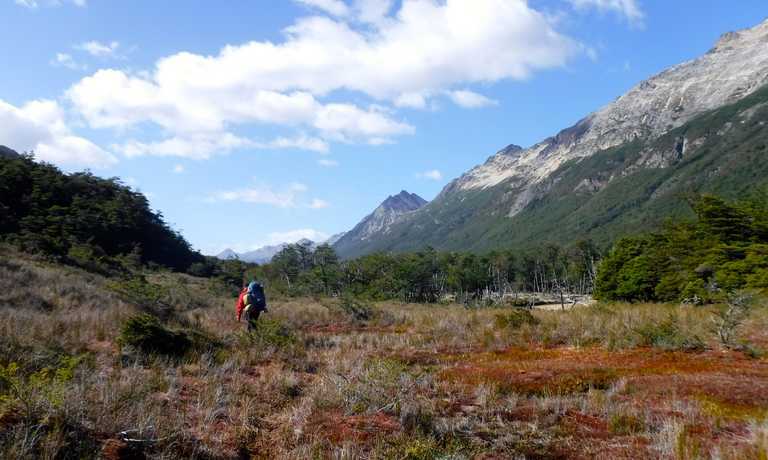 Later on, we'll go for a walk for and to make discoveries in one of the roughest and most beautiful places in the Beagle Channel. On our way back, we'll change vehicles. The second part of the day takes you over the Andes Range and off-roading into the forest by Lake Fagnano during the afternoon. We spend the night at our refuge by this 100km long lake after a relaxed dinner by the fire and a magnificent view. We leave our refuge and, in our Land Rover Defender, we head towards lake Fagnano's Northern shore passing by Tolhuin. During our approach into the Heart of the Island we'll see how the vegetation and the geography changes and gets even wilder. We'll have lunch and camp near Lake Yakush at Rio Indio campsite and go for a hike to reach the top of Cerro Cabras. 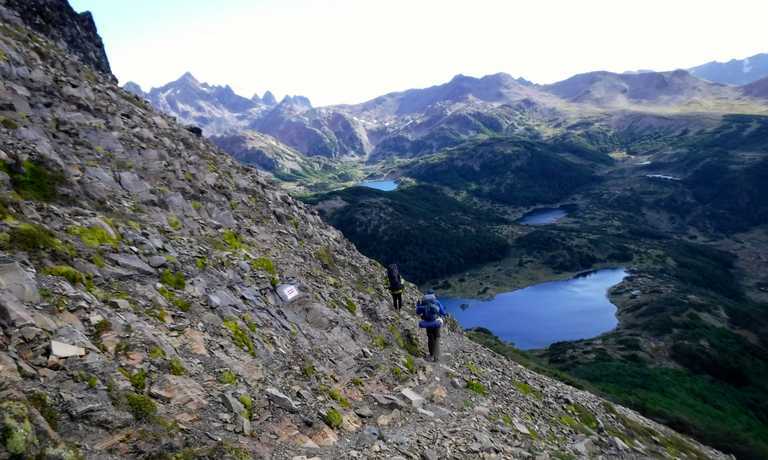 Although it is not a very high mount, it is steep enough to make the views from up there look incredible: lowlands, swampy prairies, beaver dams, lakes and lagoons, horizon and mountains - a proper lookout. After dinner, we'll need some rest! We leave Eastbound for a ride to the Atlantic coast to know Cabo San Pablo. Our aim now is to know another characteristic environment, though little known or visited in Tierra del Fuego: the Atlantic shore. The icon of this cape is the 'Desdemona', a shipwreck accessible by foot! The beach here is incredible, an odd-looking place. We'll reach a promontory from which we may enjoy a view of immensity. Back from the hike, we set our course back to Ushuaia by National Road 3. We expect to arrive there around 5 PM. This trip can run as a group trip, with prices starting from $213 per person for a complete group. If you are looking to join a group or you are a solo traveller we will help to form likeminded groups of travellers. Please let us know your travel plans.